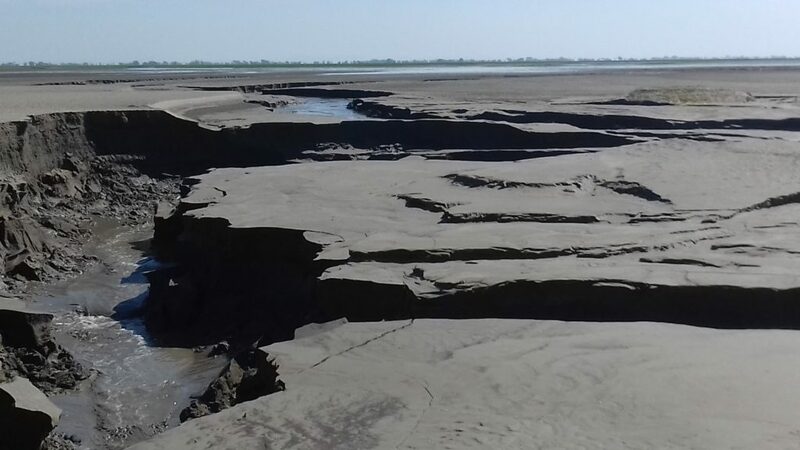 The government of Myanmar has designated part of the Gulf of Mottama in Mon State, a key site for spoon-billed sandpipers, as Myanmar’s fourth Ramsar site. It’s great news for spoon-billed sandpipers and wetland conservation in Myanmar. Myanmar is home to an extraordinary diversity of wetlands, from mountainous wetlands, large freshwater wetlands and lakes to coastal wetlands like mangroves, mudflats, and coral reefs. These ecosystems provide a wide range of food, water supply, flood protection, and other ecosystem goods and services that underpin local livelihoods and the environment. Gulf of Mottama. Photo by Christoph Zockler. Despite these benefits, wetlands are under enormous pressure. Globally, according to the Convention on Biological Diversity, 40% of 1,000 wetlands sampled were lost between 1970 and 2008. Research also shows a 76% loss of freshwater species in wetlands between 1980 and 2010. Myanmar’s wetlands are also threatened by unsustainable water extraction, agricultural encroachment, over-fishing, and invasive alien species that reduce their capacity to support human development. To better protect its wetlands, Myanmar ratified the Ramsar Convention in 2005. Established in 1971, the Ramsar Convention, the world’s oldest global environmental agreement, is an international treaty for the conservation and wise (sustainable) use of wetlands. Through the convention, and following a set of criteria, countries identify wetlands of “international importance” and designate them as Ramsar sites and commit to ensure their management and sustainable use, jointly with the communities which depend upon them. Globally, 2,265 wetlands have been nominated as Ramsar sites. In Myanmar, three sites were designated: Moeyungyi Wetlands Wildlife Sanctuary in Bago Region, the Indawgyi Wildlife Sanctuary in Kachin State and recently the Meinmahla Kyun Wildlife Sanctuary and the Outer Delta Islands in the Ayeyawaddy Delta. On May 8, 2017, the northern part of the Gulf of Mottama was designated as Myanmar’s fourth Ramsar site. The 45,000-hectare site stretches from the mouth of the Sittaung River along the eastern shore of the estuary in Kyaitho and Bilin Townships in Mon State. It meets six out of the nine Ramsar criteria, a very high proportion. It is home to the largest wintering population of the Critically Endangered spoon-billed sandpiper, hosting probably more than half of the remaining global population in the world during wintering season. Together with Meinmahla Kyun and the Outer islands Myanmar has now designated two Ramsar sites in recognition of its responsibility for the wintering population of the Spoon-billed Sandpiper. The Gulf of Mottoma is one of the most dynamic estuaries in the world comprising one of the largest areas of mudflats in the world, making it of outstanding global conservation value. The gulf’s high productivity, fed by sediments and nutrients from three major rivers, supports abundant invertebrates that provide food for up to 150,000 migratory water birds in the non-breeding season. The site also supports the livelihoods of tens of thousands of fishers. But the Gulf of Mottama is suffering. Fish catch has declined by 50%-90% over the past 10 years, the result of over-fishing, often due to use of illegal nets to harvest fish of all sizes, even juveniles. Small-scale fishers are being forced to look for work in other sectors, or migrate. If no action is taken, fish catch and the coastal economy will decline further. Wintering birds are still threatened by hunting. The site was designated after five years of lobbying by the SBS Task Force and its most important local member BANCA. Extensive consultations with local communities and the Mon State government, as well as the Forest Department, the national Ramsar focal point finally led to its recognition as a wetland of global significance. The Community-Led Coastal Management in the Gulf of Mottama Project of the Swiss Agency for Development and Cooperation (SDC) is supporting a project, which is implemented by HELVETAS – a Swiss NGO – in cooperation with IUCN, the International Union for Conservation of Nature, and two local NGOs, Network Activities Group (NAG) and Biodiversity and Nature Conservation Association (BANCA), assisting the preparation of a management plan for the Gulf of Mottoma that incorporates the “wise use” principles of the Ramsar Convention. The designation of this Ramsar site is of special significance because it is the first in Myanmar that is outside a legally designated protected area. It therefore sets an important precedent for Myanmar’s many other wetlands of global importance that merit Ramsar status. In celebration of Myanmar’s fourth Ramsar site, a launch event will be held in Mon State in May 2017. This will be an opportunity to learn more about the importance of those muddy waters. The nomination documents for the extension of the Ramsar site to the southern townships of Thaton, Paung, and Chaungzon are being prepared. What a great result. Congrats to all concerned for their perseverence and vision. Fantastic news, and not just for Spoonies. Well done to all involved. 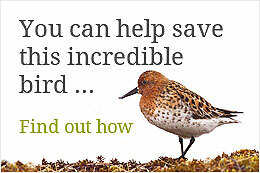 Another weapon added to the Spoon-billed Sandpiper’s arsenal in its fight to recapture self-sustainability in the wild. Congrats to all who contributed to this significant victory.